Spatial data helps us understand the world around us. We work closely with end users, sensor manufacturers, researchers, system vendors, and software partners to build innovative tools that let people use this data better. Here are some examples. 3D is very important in dense environments. Using nothing more than a rapid LIDAR scan and aerial imagery, the networked warfighter can receive instant 3D images from their position to understand the threats around the corner. This alone dramatically increases Situational Awareness while decreasing Fratricide and Collective Engagement times. Rapidly visualize new intelligence by combining historical and near real-time data. Quickly and easily create motion paths and export high-quality video to disseminate to decision makers and other stakeholders. By instantly combining all kinds of data into an accurate 3D scene, our products reduce the time it takes to create quality intelligence products to minutes. Spatial Cognition is currently working with the US Army’s Armament Research, Development and Engineering Center (ARDEC) to integrate an advanced 3D capability into next-generation network-centric fire control effects software. 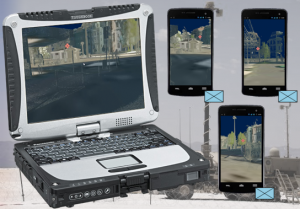 This distributed platform provides geo-location, deconfliction, automated target hand-off, and collaborative engagement functionality all the way down to the Small Combat Unit (SCU) squad leader in a manned-unmanned environment. Currently in development, our upcoming products allow people with little or no training to rapidly create high quality, correlated databases for various simulation systems, such as VBS2 and JSAF. Our technology allows users to quickly use any available data without knowing anything about various formats or map projections. Eliminate time-consuming preprocessing steps and edit the environment interactively in the WYSIWYG editor. Easily integrate new imagery – even if it covers a lot of objects (e.g. buildings) in the scene. 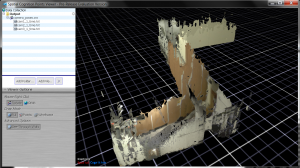 Even automatically build 3D models from large point clouds! 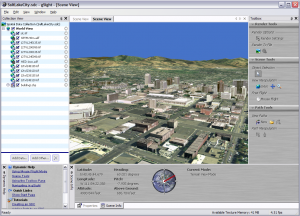 Easily create 3D Maps from your GIS. 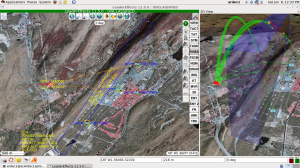 Rapidly add terrain elevation data, 3D models, and large topographic networks representing both underground and above ground structures. Instantly visualize large transportation networks, utilities, pipes, sewers, tunnels, communications, and other data in high-detailed, interactive 3D. Our Points Viewer is the ultimate application for visualizing data from your 3D sensors. Whether you are using a LiDAR, Time-of-Flight, Structure Light, Ground Penetrating Radar, Terrestrial Laser Scanner, or 3D Scanner, our products allow interactive visualization of massive amounts of sensor data – live or recorded, moving or stationary, single or multiple sensors. Easily add imagery and video from any source. Correct for wide angle lens distortion in real time. Automatically reconstruct surfaces. Perform accurate measurements. Don’t waste time maintaining a custom visualization application or be tied to one sensor manufacturer’s solution. Our products can easily be used to visualize data from your robotic systems and provide many enhanced capabilities. Easily ingest data from common formats or your own custom files. Instantly stream data from sensors from most manufacturers including: Hokuyo, Velodyne, Microsoft (Kinect), Faro, Leica, Riegl, and others. Our products are used to visualize data from small robots, truck-mounted systems, automated ground vehicles, and backpack systems from many organizations, including: Robotic Research, UC Berkeley’s Video and Image Processing Lab, and the Applied Physics Lab’s EMAPS backpack. 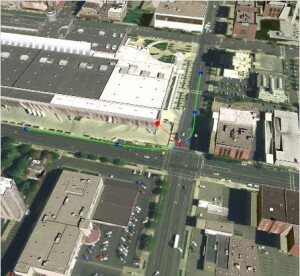 Spatial Cognition has the most advanced Forensic Scene Mapping software ever created. With no training, anyone can set up and start scanning a crime scene and, with one mouse click, instantly create an accurate 3D model – preserving the scene for posterity. As various photographs of the scene are taken, they can be easily added to the model. Unlike all other packages on the market, photographs are completely preserved in the 3D model. This means you can zoom in on any area and see all of the detail in the original digital photographs – even at 36 megapixels or more! Viewing ultra-high resolution imagery in 3D eliminates perspective distortion and allows for more accurate measurement. Our software even uses scientifically accepted statistical analysis calculations to determine the error margin in measurements, based on the resolution and accuracy of the sensor data. Our software works with a variety of sensors at different price points and capabilities. This means you can easily upgrade as new technology becomes available without changing your processes or being tied to one hardware vendor. Imagine advanced surveillance in one 3D scene using dozens or hundreds of live cameras in real-time. 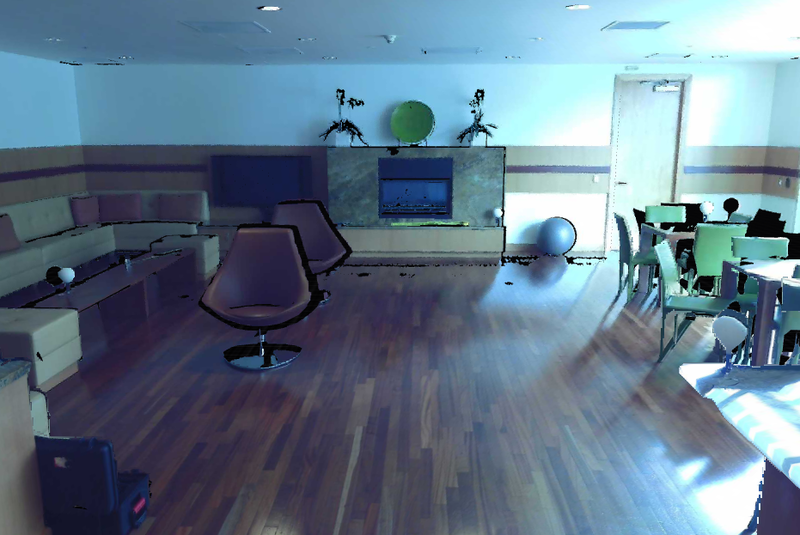 Multiple targets can easily be tracked as they move through the environment without distracting handoff between cameras. Dozens of different camera views can be monitored at the same time without losing the physical context of where each frame is in the environment. 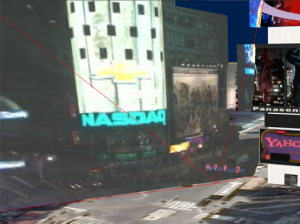 Older frames of imagery can automatically be used as cameras pan, tilt, and zoom to maintain coverage on a larger area. And all of this is done without losing any image quality. Our technology makes next-generation surveillance possible. 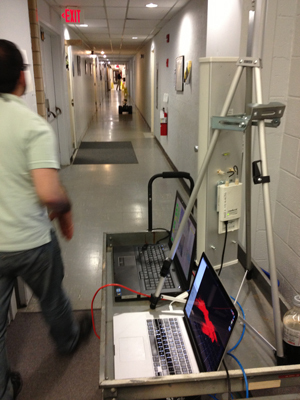 Systems can now easily incorporate moving cameras mounted on vehicles, drones, robots, and people. LIDAR scanners can be used to easily track people as they move through the environment and allow objects to be viewed at all different angles using multiple cameras. 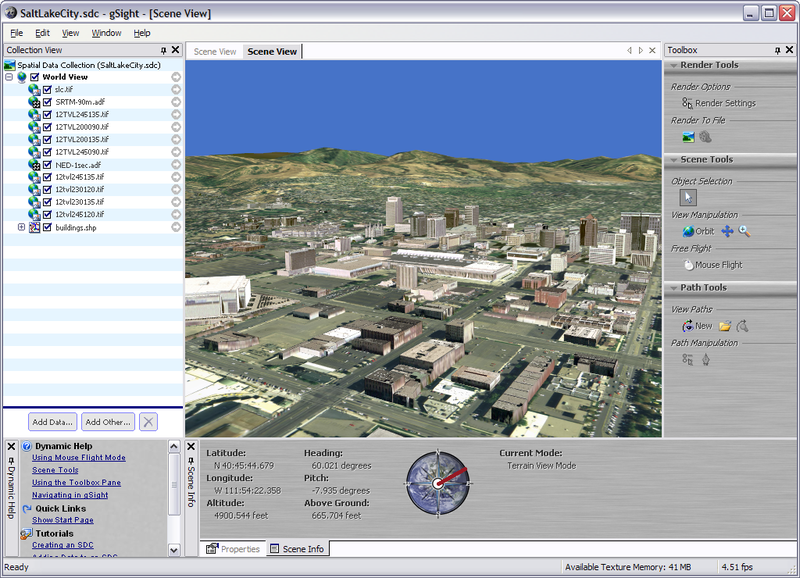 Entire cities can be monitored in a single, easy to navigate, scene, rather than individually selecting various camera views.